Hamstring injury, sometimes referred to as a pulled hamstring, is extremely common in sports. It can often be a nagging injury, with a very high recurrence rate among athletes. The hamstring muscles are found on the back of the thigh, just below the hips. There are four hamstring muscles, the semitendinosus, semimembranosus, and biceps femoris. They all originate off of the ischial tuberosity and extend into the knee. 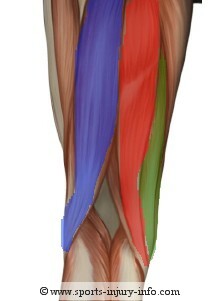 The biceps femoris attaches on the lateral side of the leg, while the semitendinosus and semimembranosus attach on the medial side. The hamstrings are responsible for flexing the knee, and also help extend the hip. They also play a role in stabilizing the knee during activities. Most hamstring injuries occur during an explosive movement, such as taking off to run or quickly changing directions. This explosive contraction of the muscles overloads the tissues, and the stress is too much, causing the fibers to tear. The injury is usually graded on a scale of 1-3, just like all muscle strains with 1 being the least severe, and 3 being the worst. There are many factors that will contribute to hamstring injury, including flexibility, proper mechanics, strength balances, and sports activities. 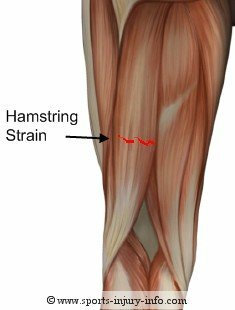 Learn more about a pulled hamstring and the major causes and treatments. As with most sports injuries, treating a hamstring strain initially involves the R.I.C.E. principles. 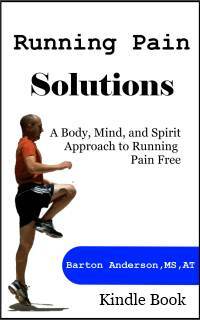 This will help to reduce pain and swelling, and protect the injured muscle. After the initial inflammation period, you can usually start gentle stretching to help reduce motion loss and to improve the muscle function. However, you do not want to stretch to the point of extreme pain. As the muscle begins to heal, it fills in the tear with scar tissue. This new tissue is not as elastic or strong as the original fibers, and may be one of the reasons that hamstring strains are often recurrent injuries. This scar tissue is more susceptible to injury than the original tissue. Rehabilitation is very important after a hamstring strain, as you must restore both normal range of motion as well as strength. And it is important to make sure that you limit scar formation. This can only be done by a trained rehabilitation professional, and often involves massage and soft tissue mobilization. It is also important to consider any biomechanical factors that may have led to the injury in the first place. Were the hamstrings very tight, or are there mobility issues in the hips or low back. These can all be factors that contribute to injury, and unless they are addressed, the hamstring injury will most likely occur again. 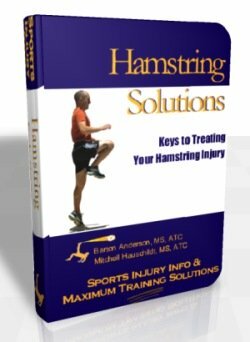 Preventing hamstring injury can be a challenging task, especially if you have already suffered a previous hamstring strain. A proper warm up and stretching routine will help to reduce your likelihood for injury. Proper strengthening of the muscles, and making sure they are balanced with the quadriceps is also important. Mobility of the hips and low back should also be addressed to help decrease the stress on the hamstring muscles. Hamstring injury is very common, and can become a nagging problem if it isn't treated correctly. Rest, ice, compression, and elevation are important initially, and some type of rehabilitation to restore flexibility, strength, and endurance is essential. Proper warm up and stretching before activities, as well as making sure you have good muscle balance and mobility can help prevent this injury.